The AZSF Reading Series kicks off next Tuesday at Sip Coffee and Beer House. Modeled after such long-running events as Writers with Drinks and Fantastic Fiction at KGB, the event will feature a trio of authors reading, signing and meeting in a relaxed, social atmosphere. Organized by longtime Valley con runner Lee Whiteside in conjunction with the Poisoned Pen, the inaugural event will feature a trio of Tor authors from New Mexico — Victor Milán, Jane Lindskold and Melinda Snodgrass. To promote the series, we interviewed each of the authors. We start out with Milán. An acclaimed libertarian science fiction author, he won the Prometheus Award in 1986 for his novel Cybernetic Samurai. Since then he has worked with George R.R. Martin and Snodgrass on the “Wild Cards” Series, as well as writing his own novels, both original and in tie-in universes. Thanks for taking some time to answer some questions. Can you tell us about your new novel? My epic fantasy novel The Dinosaur Lords, came out just over a month ago, and within three weeks had gone back for a rush second printing. I guess that’s good? A lot of people really seemed to be looking forward to it, and overall, they seem happy with what they got. The cover, along with being gorgeous, is also quite appropriate. 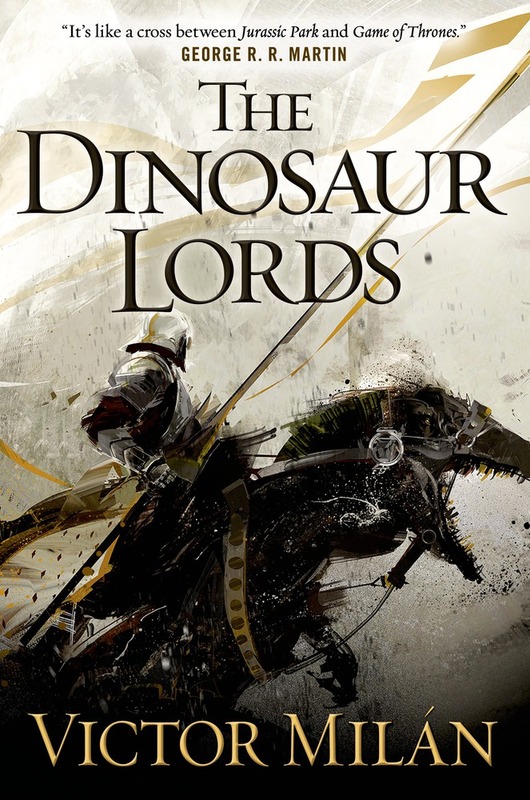 If the idea of reading a fantasy novel where knights ride dinosaurs appeals to you, this book probably will too. What was your reaction when you saw that cover for the first time? As if I’d won the lottery? Walter Jon Williams calls it “the greatest cover in the history of the universe.” I don’t know if I’d go that far about Richard Anderson’s incredible work. But I can’t call a better cover to mind, either. I know drawing eyes is one of the most important factors for a book by a relative unknown. The cover definitely does that. I love the idea of the book – that’s not a boast so much as I’d think a truism, given the time and energy I’ve committed to the project. I think it would have eventually attracted a wide readership, because I also think it’s well written. But I also know from brutal experience how a bad or even non-eye-catching cover can help sink a book. When I first saw the cover I thought it would be an enormous help. And so it’s proven. Any comments on Melinda and Jane’s work? I’ve yet to read anything by Jane. I need to catch up on Melinda’s Edge books, since I’ve only read the first, Edge of Reason. Which I much enjoyed. Can you talk a little about the New Mexico writing scene – Bubonicon looks like one of the best writer Cons out there and the scene seems to be bursting with talent. For years I’ve called NM the “Science Fiction Capital of the Known Universe.” Because, per capita, I believe it is, and has been for decades. New Mexico seems to be both a magnet and fertile ground for the sort of eccentric who would make a go of writing SF or fantasy. Why, I’ve no more idea than Melinda or Jane. Speaking of conventions, were you at WorldCon this year? Any reactions to the Hugo Awards controversy? I didn’t go to WorldCon. I don’t have a good understanding of the mechanics of nomination and voting for the Hugo, and I saw too much identifiable misinformation thrown about by both sides to feel competent to form an opinion about the mechanics of what went on. As a writer and a human, I found the extreme rage and hatred directed at the very fact of dissent by what we might call the orthodox SF community to be scary and repugnant. I know people on both sides whom I consider to be good and intelligent people. I know of people on both sides for whom I have less esteem. And I have my own disagreements with both sides. Being from Santa Fe and good friends with George R.R. Martin have any insider info about Winds of Winter you can share? 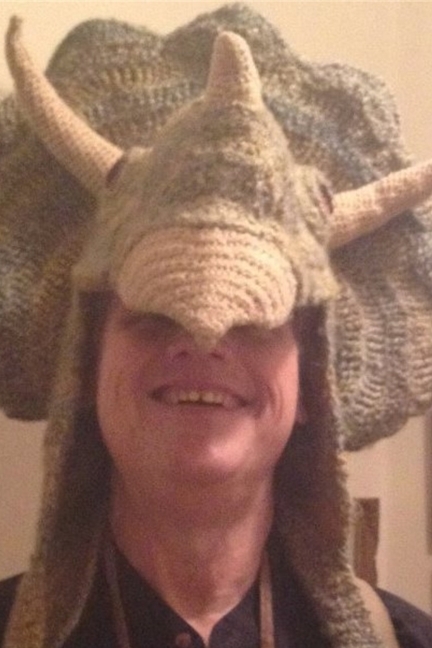 George is a good friend, who’s done a lot of good things for me – particularly with Dinosaur Lords. (Such as the cover blurb.) He does not confide his future plots to me, though. Wouldn’t rat him out if he did, of course. I suspected as much! Well, thanks for chatting and I look forward to meeting you at the Reading. Thanks for asking me, and thanks to Lee for inviting me to come out to Scottsdale! Check back in the coming days for interviews with Lindskold and Snodgrass as well. And keep an eye on azcentral.com for more information on the event. This entry was posted in News and tagged AZSF Reading Series, Dinosaur Lords, Jane Lindskold, Melinda Snodgrass, Poisoned Pen, Santa Fe, Sip Coffee and Beer House, Victor Milán. Bookmark the permalink.